Seeing as I'm so bad with outfit posts I've decided to take an outfit photo of my outfit each school day and then post it on a Friday maybe, I epicly failed this week and only managed to take two photos but I'll try and take one every day next week. 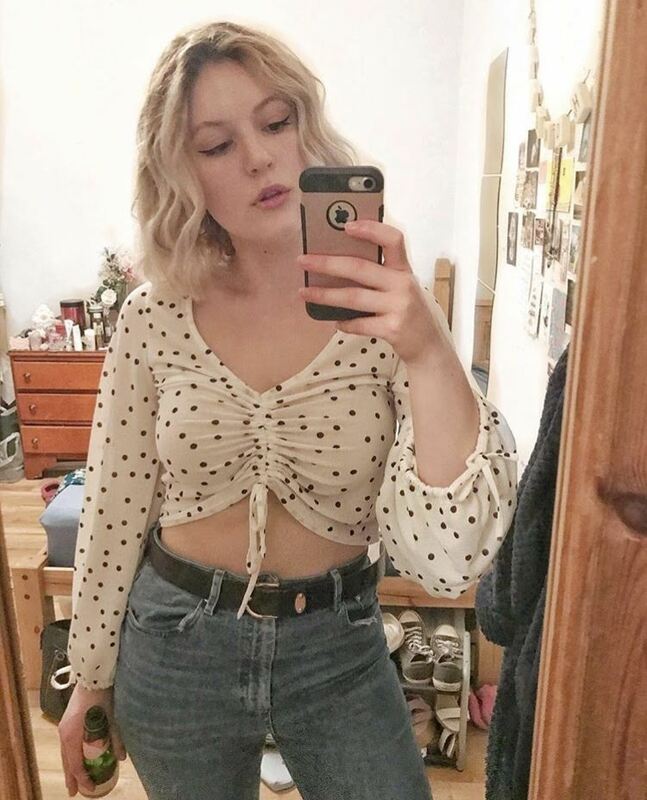 My friend took this before I went back to school when we just hanging out, not a very exciting outfit! I got this shirt at Primark when I was by the seaside, and I have been wearing it the whole time, I love it so much! It has cream lace inserts around the shoulders and the cuffs so its slightly different to the plain ones you see. I love these tights so much but I've just discovered there's a huge ladder in them across my bum haha which I don't think can be fixed with clear nail polish! And these are my nails for the week! I'm off to finish off homework and endure another week off school, speak to you all soon. Love your nails and the deco in the post below is really cute too!